So the other day when I was scrambling around trying to find more potting mix to use when potting up bamboo divisions, I emptied out a container which had been sitting around since last Summer when the Rhubarb that was in it went dormant (and then I guess died). Breaking the potting mix up, what did I see? Termites! Ack! Termites! Well, that was my first reaction. After a couple of seconds I instead thought "oh, termites". Sort of in the same way I'd say "oh, an earthworm" or "oh, ants" (as long as the ants are not crawling up my arms and biting me). You see, termites are really only a problem when they're eating your house or some other wooden structure that you want to keep around (like a fence, or a shed). 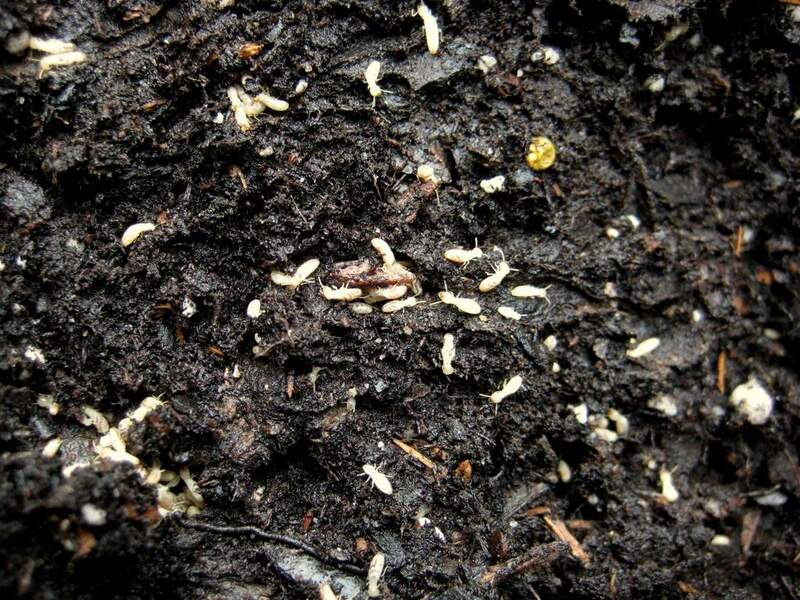 When they're eating dead trees, or mulch, or bits of sticks in the "leaf mold" compost that I use they're no problem at all -- they're actually beneficial. That's right, termites are good. 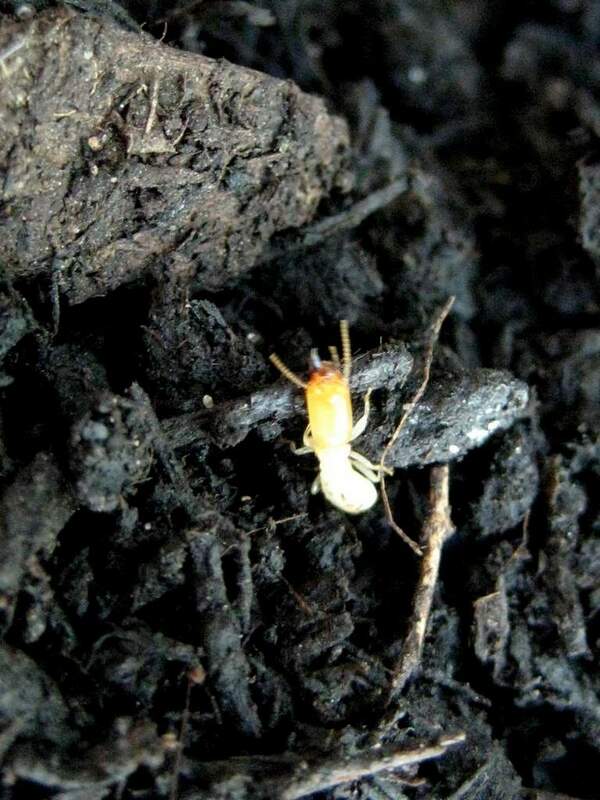 You see, like the earthworms and some other soil-dwelling insects, they're actually helping to break down the woody organic matter, helping to turn it into "good stuff" that improves the soil. 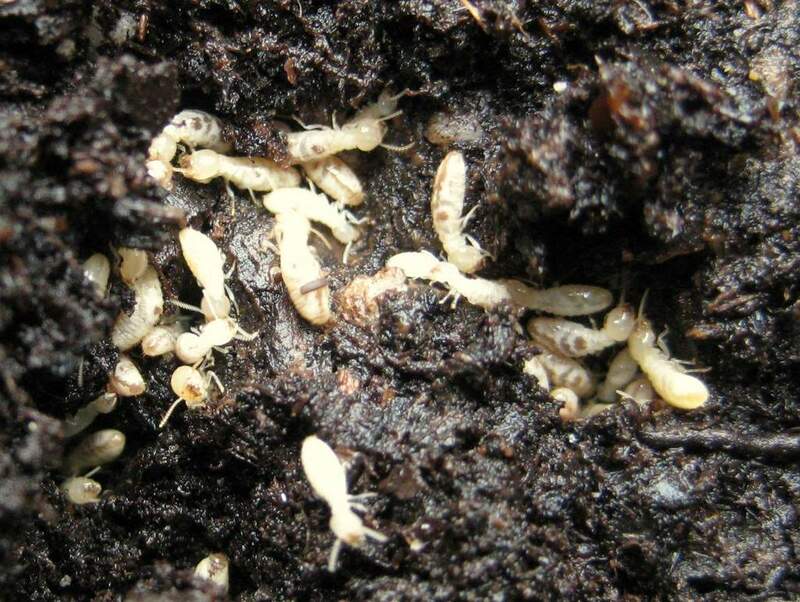 Pretty much every garden and yard has termites in it, just as they all have earthworms and ants. 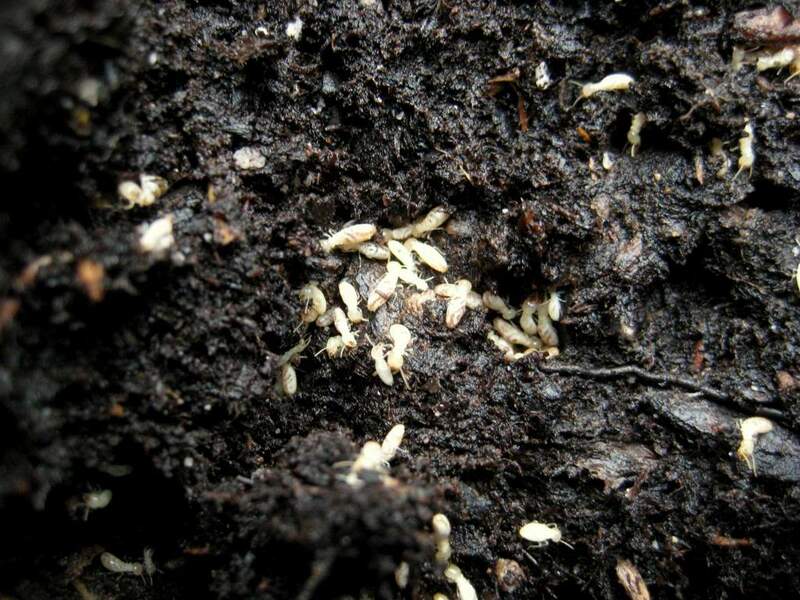 So the next time you unearth a bunch of those white-bodied crawlies, you can think "Ack! Termites!" for a couple of seconds, but relax and don't run for the spray can of poisons. Unless of course you're cleaning out the garage or basement when you see them. In that case you're allowed to stay in panic mode for as long as you like. Everything I've read says that termites don't eat live wood, so are you certain that something else isn't damaging the shrubs first? Maybe you should try termite traps?